Happy Chinese New Year. 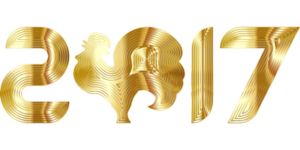 In this year of the Fire Rooster, the fiery energy gives us new energy to release old habits and unwanted ways, and like the phoenix, rising to glorious heights and new beginnings. Welcome to Mother Mary’s House and Temple. We continue to be Blessed by Mother Mary, Angels and Ascended Masters. Our membership continues to grow at a fast clip. People are coming out of the woodworks feeling a calling to join our new Madonna Ministry. 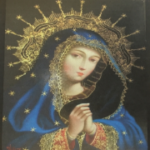 All who have attended our gatherings have expressed that it had the energy they were looking for, the Love, Light, and filled with Spirit and the Grace of Mother Mary. We have been so busy with many MM meetings and gatherings. The Gathering at Bishop Manny’s home was a complete success with food laughter, love, light, and hugs. We did a wonderful reincarnation ceremony for those attending. A “reincarnation ceremony” is one whereby previously ordained members of the Madonna Interfaith Community is welcomed into the Madonna Ministry with all ordained levels and titles intact. A follow-up ordination & consecration ceremony will be held at the April Conference in Oxnard, and September Conference in Rhode Island. Bishop Red Basket hosted a Gathering in Rhode Island on Feb. 19, which was also well attended. A Reincarnation Ceremony was held by Bishop Manny, with a wonderful Conversation with Mother Mary. Our next Gathering is April 22, we anticipate a strong attendance and we will ordain and consecrate everyone into our new church to anchor your energies into our church. It was amazing gathering with so much energy of Love and the presence of Mother Mary. A Reincarnation Ceremony was held, and it was decided that a Conference will be held in September to ordain and consecrate members into our Madonna Ministry. Bishops Mei Lan, Phyllis, Manny & Barbara hold intentions of attending and share Blessings of Love, Light, Laughter, and HUGS. This was sent to me by my American girlfriend Kasandra. Being a Canadian myself, I’m an outsider… by seeing how women are making the global news in this feminine protest, I am curious to follow this news trail. I encourage unity & harmony, even though I respect anger/fear, etc, from political concerns. I believe ‘faith/hope’ is really key with what kinds of thoughts/emotions we put out to the Universe. We are powerful creators!! We are part of the whole and not separate… remember? As a woman myself, I encourage my Sisters to continue to ‘be women’… and not let fear totally run from their masculine selves (…unless you are a warrioress all the way). We are better serving our communities with love and peace in our hearts, and to allow our intuition to guide us from survival anxieties. This is a great time to show action towards one’s own ‘life purpose’, and to hold space for your own special gifts… as it’s all meaningful in the scope of humanities growth. May all of this media inspire us to do our part of the Divine plan. It’s not up to one person, but many… to shift the consciousness in our world, to meet in the center of all. I asked the Grandmothers for their advice on the difficult times we are living in. Here is their response. “We have this to say,” they paused…. “Listen, observe, ask for guidance, and then act. Do it in this order,” they said. “Many people feel demoralized now, confused and afraid, and many are praying for guidance. This is good!” they cried. “When a person sincerely prays for guidance, guidance will come. We are here with you and we will never abandon you to those who would hurt and harm. No!” they exclaimed. “We remind you again to listen within. Turn your attention inside yourself and ask, “How do I feel right now? Does what I’m hearing resonate with me?” Ask yourself, “Is this information that’s coming now from a credible source? One with no agenda?” Tread carefully whenever you watch or listen to the “news” of the day. Do not bypass your heart, but filter all the information that comes to you through it. Because your heart is true, it automatically feels the presence of truth. The following 16 statements can be completed in two rounds of tapping, stating one statement for each tapping location. Eyebrow – All is well in my life. Temple – Every day in every way I am getting better and better. Under the Eye – I am fulfilled in every way, every day. 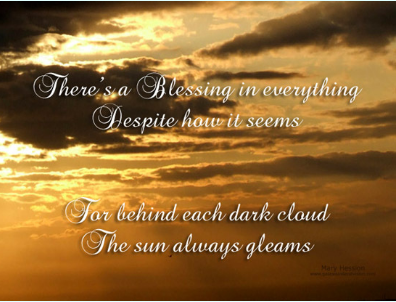 Under the Nose – My blessings appears in rich appropriate form with divine timing. Under the Lips – I am an excellent steward of wealth and am blessed with great abundance. Collarbone Knob – I take complete responsibility for everything in my life. Under the Arm – I have all the tools, skills, and abilities to excel in my life. Top back part of the Head – I know I will be able to handle anything that arises in my life. Eyebrow – All my dreams, hopes, wishes, and goals are being fulfilled each and every day. Temple – Divine love expressing through me, now draws to my new ideas. Under the Eye – I am comfortable with my life changing. Under the Nose – I bless the increase in my health, wealth, and happiness. Under the Lips – I know what needs to be done and follow through to completion. Collarbone Knob – My health is perfect in every way, physically, mentally, emotionally, and spiritually. Under the Arm – I invite into my subconscious Archangel Raphael to heal all that needs to be forgiven, released, and redeemed. Cleanse me and free me from it now. Top back part of the Head – The light of God surrounds me. The love of God enfolds me. The power of God protects me. The presence of God watches over and flows through me. May the Love and Light of the Divine Mother enfold us, nurture us and guide our Paths.